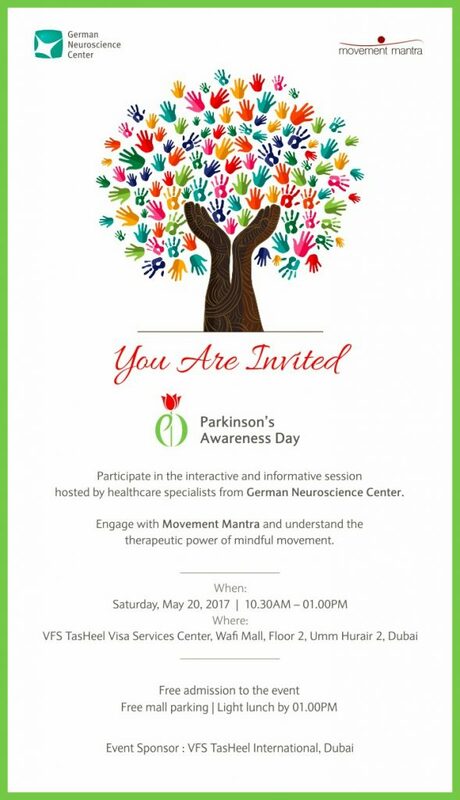 Saturday, May 20, we are celebrating Parkinson’s Awareness Day and you are invited. 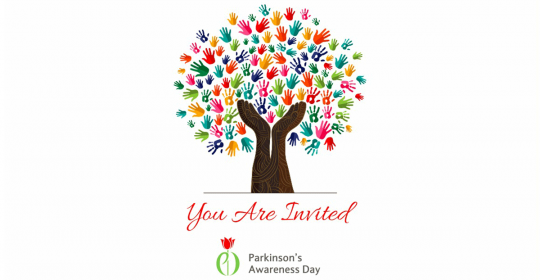 Join Movement Mantra and listen to wonderful speakers including Parkinson’s patients and care givers sharing their own stories. 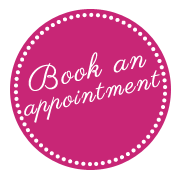 Get first-hand experience what it means to be diagnosed with Parkinson and how your live changes if a beloved one is suffering from it. Movement Mantra will light up the day with some fun activities for patients and care givers. A neurologist and a psychologist will be available for questions about the disease and the psychological impact on patients and their families. Thanks to VFS TasHeel International for hosting the event and providing free food and drinks.